Not been around much, BUT riding quietly and still having fun from time to time! 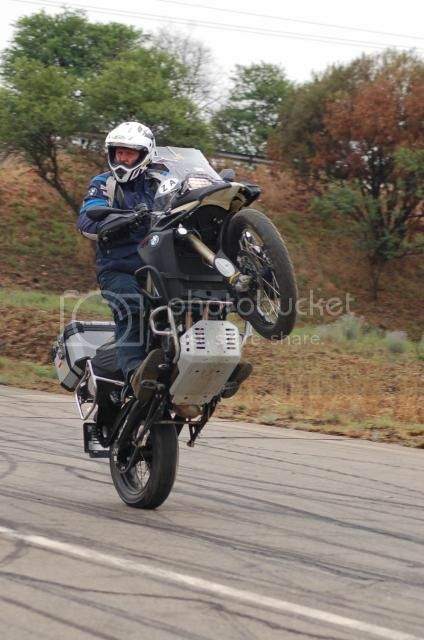 There are few things that look as good as a well executed wheelie. 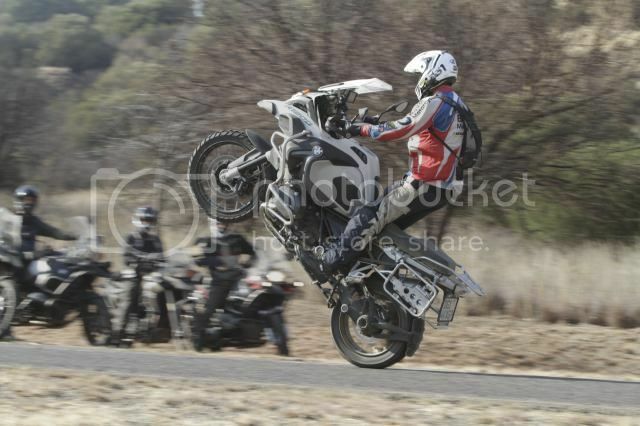 A GS looks especially awesome with its tummy showing.. nice pics!! 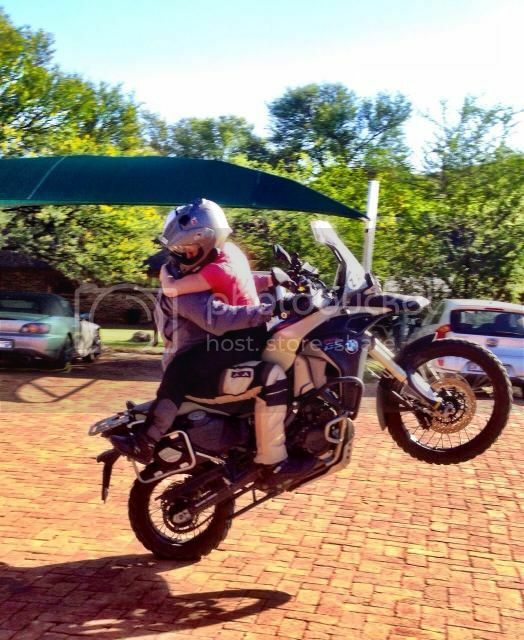 Ek het baie respek vir n man wat n 800 so kan wheelie. Dis nie die maklikste bike om te lig voor nie. Daar is selfs n hele thread oor hoe om hom te lig. Dink dis oor die 8 bladsye lank. Nice Fenderbender. You're running through the gears there ? What's "meerkatting" to pardon my ignorance ? Pom17... Send me that link to the thread about wheelying the 800.. I am interested that there is a specific way for that bike. I have wheelied them for Kay's.. No different to any other bike.. Just need a little more encouragement..